12. 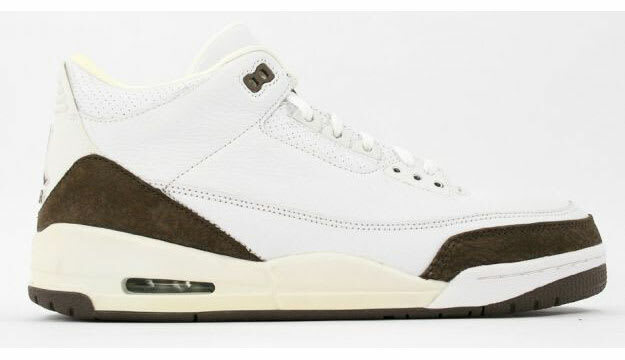 Air Jordan III "Mocha"
Complex says: The "Mocha" Air Jordan III has enjoyed an interesting lifespan. Shunned at the first, beloved belated, and all but forgotten now, the first "lifestyle" take on the Air Jordan III used a very un-Jordan brown on the elephant print, outsoles and upper lace loops along with all-white everything else.